The rotator cuff is a set of tendons and muscles that attach the shoulder to the upper arm. Working together, these tendons and muscles stabilize the shoulder and allow it to rotate. A rotator cuff tear can be very uncomfortable and decrease an individual’s range of motion, but there are a number of ways to treat the condition. The pain management doctors at Summa Pain Care offer all of the following rotator cuff tear treatments, as well as several others not listed here. There are several types of medicines used to manage pain that may result from rotator cuff injuries. They include over-the-counter drugs like acetaminophen, and nonsteroidal anti-inflammatory drugs (NSAIDs) that require a prescription. Cortisone shots in the shoulder may also help to reduce inflammation and alleviate pain. Physical Therapy involving exercises to build strength and flexibility in other muscles within the rotator cuff may also be prescribed for someone with a rotator cuff tear. When other muscles around the rotator cuff are stronger, they may help to compensate for the injury. Sometimes individuals with rotator cuff injuries need surgery to correct the issue. A surgeon can perform arthroscopic surgeon; it involves inserting a tube containing a camera and a tool to repair the rotator cuff through a small incision. Traditional rotator cuff surgery involves a much larger incision and should only be recommended as a last resort. 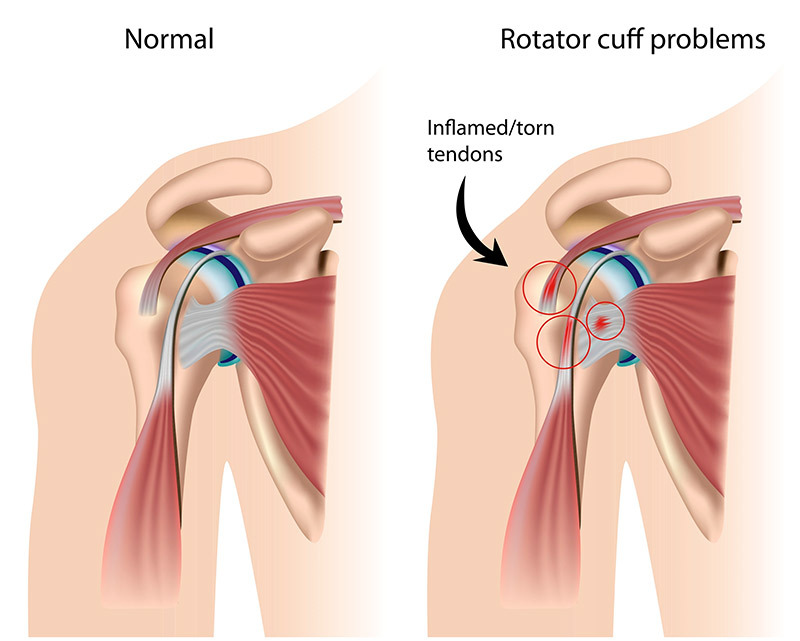 These three options can help provide relief for people suffering from a rotator cuff injury. Consult a pain treatment doctor to fully understand all the treatments available to you. If you have sustained a rotator cuff tear or other types of shoulder injuries, call (623)776-8686 today to schedule an appointment with a pain management specialist at Summa Pain Care.